Can Limitations Be Useful? | Let's Live Forever! 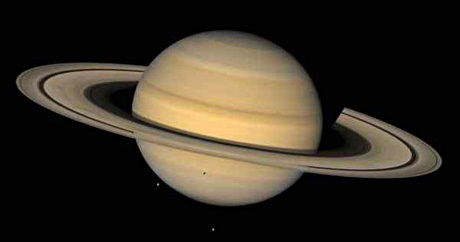 Saturn, the planet of manifestation through constriction, in astrology. Image from NASA. Sometimes there are things we just can’t do. Not right now, anyway. I’m all for unlimited thinking and believing we can do anything, but I also think we can choose to see the limitations we are stuck with right now as helping us. I even had six days skiing in Austria, but I wasn’t very good—one day I actually rode down the chairlift! I have also tried netball, softball, basketball, volleyball, squash, tennis, horse riding and jogging, all with a high degree of failure (I’m not a bad swimmer). I could have said “I can practise a lot and change my limiting thoughts and become a really good skier/sportsperson”, or I could do what I basically did, and sort of stop. I just wasn’t cut out for it—why struggle and go against the flow? Perhaps there were better things to do with my time, that would be more satisfying for me than sport. I began to focus more on things like music and sound engineering… this has turned out to be a great direction for me. I think it’s interesting that in astrology, Saturn is the planet of constrictions, and it’s also the planet of manifestation, or of making things concrete. It represents the energy of manifestation through limitations, or boundaries… which “shapes” things, or defines them. It is unlike Jupiter, which in astrology represents the expansive “oh yeah I can do anything” energy… which as we know, can be great, but it’s quite possible that not much of substance happens. 1. By not being able to do certain things, we are forced in a different direction from what we initially would have liked or thought of, and this direction turns out to be just right for us, in the long run (like in my unsporty-to-music example). 2. By forcing us to hone our skills and push through barriers, we end up with something really concrete. Just for fun, I’ve put up the cover of my Saturn book, over on the right. I wouldn’t have begun writing books if I hadn’t been short of money at that time—a state which was rather on the constricting side. Now I am very glad it’s something I did—and the steady income from my 58 children’s books is very welcome. I also thought I may as well amuse myself by setting up an Amazon store with some of my books for sale. It’s here. Physical immortality is about becoming more highly defined… physically, and in the things we do. It’s about coming more into our physical body, instead of being airy-fairy and not quite there, so that our body, personality and creative output develop greater definition. As we come right into our body, we transform it and the reality we experience—and we are expressing more of our real self. We are “grounded”. But if we are always lingering just outside our physical reality—escaping in some way—nothing really changes much, and we eventually drift away (die physically). I think we need to feel good about our existence… to believe that anything is possible, and that we can dream and make the things we want come true. The question is how to achieve our dreams—how to best get from here to there. When we are going for some concrete manifestation, maybe the limitations we have right now can be our allies. Blogs with a physical immortality focus are coming thick and fast. I found another one during the past week… it’s called Amritayana Buddhism, and the post of the moment is Practical Physical Immortality. I really like what the author, Will, is saying, and though it is a new blog, there is activity in the comments section—and Will replies to comments. Leonard Orr is now publishing a series of physical immortality articles in blog format, here: Leonard Orr’s Official Blog. I would recommend Leonard’s writing to anyone wishing to explore the concept of physical immortality. And just in case you missed my last post, Kathy Dobson’s new blog Physically Immortal is now up and running. She tells the story of her “awakening” to physical immortality in her second post: My Immortal Story. Her comments section is definitely open for business. * * *What do you think about all this? Have you had limitations that have led to growth or creativity that would not have happened otherwise? Very interesting concept and one that I’ve thought a lot about in a different context. As you might expect, knowing my background, Saturn is all OVER my chart. “we are forced in a different direction… ” I’ve never liked being forced, but I certainly have been forced by illness to give up things and to move only in certain directions. Back when I lived in Brooklyn, NY, in the late seventies, I learned batik dying from someone in my women’s group. She was quite an artist and made paintings using the technique. Batik is done by dying fabric, then painting or drawing melted wax over the areas of color you want to retain, and overdying with another color. I used three to four colors, a lot less than she used. The limitations of having to have each new color contain the previous color were quite strict. If you started with yellow, then chose red, of course you would get orange. But what would you choose next? Each layer was darker. What I found was that the requirements of color choice forced me to become much more creative in order to get the results I wanted. After that, I preferred highly-constricted methods of doing art and crafts because it channeled me, rather than sitting there with a blank canvas not knowing where to go. This physical world, by definition, has limitations. And we (as souls) chose to be here, rather than staying in the spiritual world. I think there is a good reason for this. Limitations are — defining, which helps us to know ourselves better, and will lead to more fun if we figure out how to work with them, rather than against them. I call this “embracing our uniqueness”. When we do this, limitations cease to feel like limitations, I think. Thank you for all the links about physical immortality. I will check them out! .-= Akemi – Yes to Me´s last blog ..Starseeds: Blueprinters 1, Originators And Designers =-. I think that certain perceived limitations (meaning if something does not work out or that you cannot be a great painter even though you studied for hours) are blessings in disguise. We each have talents and skills but sometimes they are not apparent. Often we have to go down a list before we finally hit on something that is truly us. Then there is also the fact that when we are confronted with a limitation it can be a test too. We can either let it destroy us or we can learn to work around it and find our way. So I guess it depends on the situation and the attitude of the person. By the way, that is cool about Saturn. I did not know that and my sign is ruled by that planet. .-= Nadia – Happy Lotus´s last blog ..You Are Not Your Past =-. I think it’s about knowing what is important to us and where our passion is. When we find that, nothing can stop us. For instance, I’m reminded of the many stories I’ve seen of what physically challenged people have been able to overcome. PS I LOVE anything to do with astronomy or astrology… though I take it with a grain of salt. Saturn has to be my favourite planet. I used to draw it all the time when I was a wee one. .-= Davina´s last blog ..7. Just Passing the Thyme =-. Interesting thoughts about limitations, Robin — I haven’t thought about them much, but what comes to mind IMMEDIATELY is that I can only carry a tune in a bucket and I can only dance if I’m jammed up in a monster crowd so no one can see me :). But I can see where finding our limitations (if we don’t already know them) is a useful guide in finding our passion. I’m all for going with the flow, and knowing my passion makes following it not work at all. I also think when we embrace a dream, the universe magnetizes us to move in the direction of our dream, whether we’re aware of it or not; and one day, voila! There it is, all manifested, and we look in astonishment and delight, thinking “what the heck just happened?” but of course we reflect and realize, and we’re grateful all over again. .-= Jeanne´s last blog ..Just Another Day in Paradise =-. The possibility of physical immortality is popping up everywhere – even in Nobel land! The NOBEL PRIZE in MEDICINE has been awarded to Professor Elizabeth Blackburn and her collaborators Jack Szostak and Carol Griender for ‘discovering an enzyme that helps chromosomes in cells STAY ETERNALLY YOUNG ,the Nobel jury said . Their work has been with telomeres and the telomerase enzyme. The interest in healthy ongoing life is accelerating. .-= Janni Lloyd´s last blog ..Why would you want to die? =-. Well, first of all, I was just flabbergasted at your children’s book list…I had no idea you had written all these…dinosaurs, bugs, planets – my kids would love them!!! We get these kinds of books from the library all the time (the latest is on rattlesnakes, believe it or not.) Amazon is saying they are not available though, is that right or a glitch? As for your post, I agree and think of it a bit like inspiration vs. technique in an art form. In the creation of any art (or of anything I guess really) there has to be both. So I think of Saturn energy as being the ‘technique’ or ‘form’ function of our lives, providing structure for inspiration/passion/creativity to be expressed. Thanks for the immortality links, the Buddhism one sounds especially interesting to me of course. .-= Lisa (mommymystic)´s last blog ..Chakra Immunity Boost For You and Your Kids =-. It serves me right – I write a post about making good use of limitations and then my internet connection goes down for the whole day and most of tonight – Grrrr. So I’ll be a little late visiting blogs this week (and I’d like to say my time away from the internet was useful – but it wasn’t especially, I don’t think). @Dot – I was SO PLEASED when I read your comment late last night before my internet went down, because your batik example illustrates my point exactly. Another example, that applies to writing, is haiku and limericks – the form brings out the product. Thanks! @Akemi – hi there Akemi – I like what you say here very much. And I agree – we are in it for the fun, and the limitations won’t feel as such when we embrace them (and our uniqueness). Thanks for this, Akemi. @Nadia – Hi Nadia! I think you make great points – sometimes we are best off changing paths, and at other times, working through difficulties (I think we know inside which approach to take). Thank you! @Davina – oh you are so cruel – I know you are laughing AT me. I think you are right about interests, priorities and passions – blog posts can be a little one-dimensional, at times. I gather the winter Olympics are going to be in Vancouver? @Jeanne – hi Jeanne – I love the way you describe embracing our dreams, and having them work out. Sometimes we need to pinch ourselves, don’t we? @Janni – wow! That’s BIG! Please do a post on it! “discovering an enzyme that helps chromosomes in cells STAY ETERNALLY YOUNG” – “Can you push things in a better direction?” – indeed. Thanks for this, Janni. @Lisa – Thanks about the books, Lisa. I chose those titles because Amazon has pictures of them – for some of them you can click through to Amazon to buy them from another seller – don’t spend too much on them, though. I didn’t realise some of them were not available at all – I’ll remove them. If you search on Amazon you will find lots that are OK but just don’t have a cover image. I had forgotten that you have written childrens books. Thank you for reminding us. My little fellow is a bit young for them as yet, but I will endeavour to remember you when I next need to make a purchase. I’m still a big believer that life is the extent of our imaginations. .-= Ribbon´s last blog ..Attract Money Now… =-. It seems as though you’re talking about acceptance right where we are. Certainly looking at limitations as life-molding allows us to move from resistance to acceptance where more energy is available for creation. I love going with the flow of what presents itself and you’re also suggesting that here. Good deep thinking as always. .-= Tom Volkar / Delightful Work´s last blog ..Is Your Business Authentic? =-. Hi Robin — I had no idea you had written all those children’s books and I am totally going to check them out. That’s definitely interesting — the perspective that, if you bring your attention into the body, your attention actually revitalizes the body. And maybe illness results from a persistent habit of ignoring or trying to get away from the body. I don’t think we ever get cheated out of anything we really want in life. Our passion is what drives our success and if we want something bad enough we’ll push til we get it. I think our passion dies naturally if it is something we were supposed to experience in a limited manner. I believe we will experience something as long as it is fulfilling a role in our life. Once we no longer need to experience that particular thing or gain anything from it…our passion will die and we naturally move onto something else. Just like I believe people come into our lives to fulfill a contract with us. When that contract is complete there is no reason for them to be around anymore and so they go onto their next contract. I wouldn’t really call it limitations so much as I think we just move on when we’ve exhausted our need for any experience. @Ribbon – yes, I am “a big believer that life is the extent of our imaginations”, too. Best wishes to you, too! @Tom – yes – other ways of saying the same thing would include acceptance of where we are right now – I like the way you put that. @Chris – what a great way of putting it! @Kathy – many people feel they are limited by things such as illness or diability, lack of money, or time – due to commitments to family. These are the sort of limitations I’m referring to (as well as things like deadlines and structure) – and I’m all for moving on when we no longer need the experience! There is a lot of hurt going on in the world because people simply do not understand…yes, people welcome limitations and they are not even aware of it! .-= Kathy Dobson´s last blog ..Simplicity =-. You must be a kid in a candy store with all the new immortality bloggers to further commune with. I didn’t know you had been a school teacher! I didn’t know you wrote books! I didn’t know you had spent 6 days in Austria! I didn’t know that anyone could go DOWN a ski lift! Such a woman of vast talent and mystery you are, Robin! My performance Coach, Marci Lynne Solomon always preached that as performers we are defined by our limitations. I think I maybe now know what she meant. .-= Jannie Funster´s last blog ..Only 24 Shopping Days Until Halloween! =-. Hi Kathy – yes – many people get a bit too used to their limitations, and don’t like to let them go because in their minds they define who they are, and they fear if they changed they wouldn’t be the same person. Once they do decide to change, saying “this is where I’m at right now” is very useful for working towards the next level, I think. Hi Jannie – I went through a phase with my blogging buddies some time ago where I talked about my books – it must have been before you were someone I communed with. Actually, you might like the post – http://letsliveforever.net/2008/08/letting-creativity-just-slip-in/ – you being a creative person and all. I’m so glad you put in that performance coach’s example – it is just the sort of thing I meant. .-= Giovanna Garcia´s last blog ..Age Actively like Carol Channing. =-. Very good post. We all have our strengths and weaknesses and sometimes our weakness is what enhances our strength. Great perspective. Thanks for sharing. .-= Mark´s last blog ..“How Can I Help You?” =-. Limitations are like failures, we can only learn from them and get better. Wonderful post, and, from one writer to another, I am impressed with your book store, will have to check them out (you can check mine out too, if you like). .-= Mike Foster´s last blog ..Find Your Spirituality =-. @Giovanna – ha thanks Giovanna – you are rather way out yourself, I think. @Mark – thanks Mark – I appreciate it. @Mike – yes, quite so. I didn’t realise you had a (no doubt impressive) bookstore yourself – yes, I shall check it out! I couldn’t agree with you more. Limitations can be a very positive thing. .-= Mama Zen´s last blog ..Better Than GPS =-. I hope you used your internet limitation to your advantage! Great observation, Saturn Constriction correlation, about how we find our gifts n hone skills. Circumstances (location, influence, parent status, income), physical traits (I’m short), n focusing on what can be done, definately shapes us in unexpected ways. Thanks for helping me be more aware. Thanks for links. .-= SnaggleTooth´s last blog ..Sky n Stream =-. Once again I must come and go on reading your blog and click to your references…I clicked away and told my sister-in-law who owns a teacher supply – learning store near the Canadian border about your books and as a former children’s librarian she is looking them up …. I am so full of limitations these days – some I am limiting myself with…I am not happy yet with my progress or changes…unsettled not even ready to come down the chair lift. .-= Patricia´s last blog ..Some Words are Just Hard to Hear =-. Hi Robin – LMAO at you going the wrong way on the chairlift. I’ve never skiied before. I’d like to try but like you, I’m not naturally good at picking up sport. I like the idea that being bad at something pushes you towards something you’re good at. Sometimes I think things also go wrong in your life, to push you in the right direction. That has happened to me a few times. @Mama Zen – thanks for your comment! @Patricia – that’s no good, Patricia! I hope things have improved since you wrote this. I think one of the main things we need to do when we are on a healing journey is learn to trust ourselves – which might mean not listening to some people. Have you seen the Geneen Roth books listed on my Resources page? I think they are excellent. @Cath – yeah – I think it can be helpful to see things this way. I truly had a rough day today….I did have a good walk and that was helpful….I need to see some progress – if I go to the Dr. for tests again and they are not down significantly they will prescribe meds – which will make me very, very ill…and if I don’t take the meds I will loose my health ins. I am having trouble trusting my self….and I am craving, craving bread…. .-= Patricia´s last blog ..Jeepers Peepers – Where Have You Guys Gone? =-. This is a pretty good perspective! Oftentimes, we blame our failures on certain limitations that we experience in life, whether with ourselves or with the environment. Yet these limitations could really be but a framework to mould us and push us into the right direction where we can overcome our fears and our initial impression of what we could accomplish. .-= I TAKE OFF THE MASK´s last blog ..How Consciousness Brings Pain and Joy =-. limitations can be useful. they teach us to think or do differently. i can be on the lazy side and instead of actually doing something, i will find a way to get it done w/o ME having to do it. being lazy forces me to think of a better way to get something done. same with limitations. .-= Natural´s last blog ..The Psychology of Hair =-. @I TAKE OFF THE MASK – thanks – I like the way you talk about frameworks. @Natural – what an interesting take on this! I think finding the easy way to do things is quite sensible, rather than being lazy – do it myself all the time.